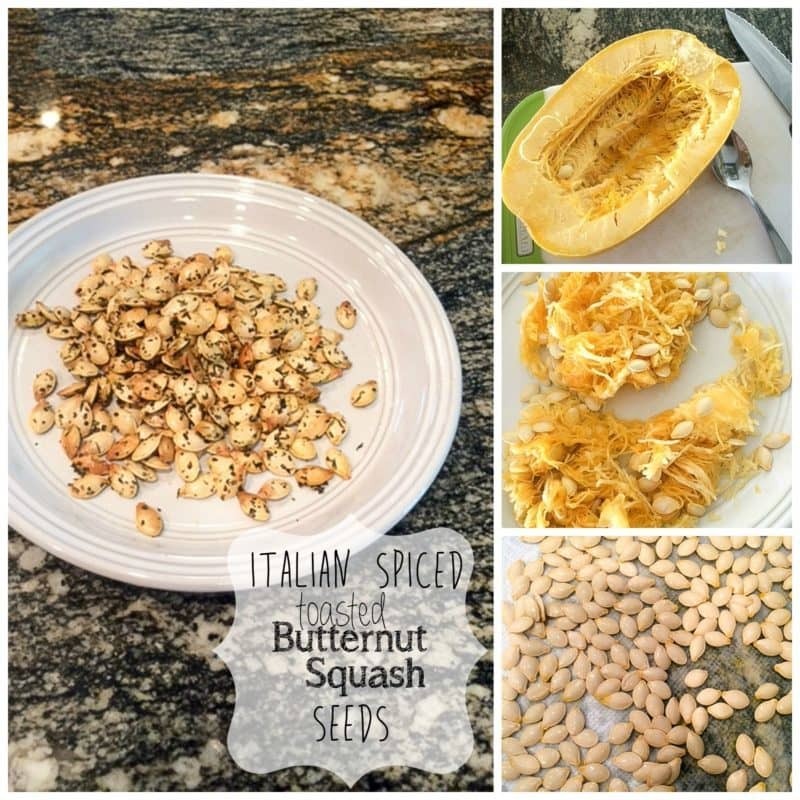 Forget toasting pumpkin seeds, try the seeds from your butternut squash. You usually throw them away but save them this time and make a tasty snack! This week I am posting from Phoenix, AZ! My hubby is out here for work quite a bit so these two weeks the kiddos and I are invading his space. He has missed us these last two weeks, but he hasn’t missed the noise we create. LOL. We were here last summer for a week and loved every minute of it! 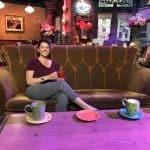 A Grand Canyon tour, a few nights in Sedona, and of course, lots of great food! I’m a sucker for some tacos and in Phoenix, you can get tacos on just about every street corner. Right before we came out last summer I ordered my new camera and it was delivered while I was gone. I wanted to have it with me when we visited the Grand Canyon but had to suffice with my phone. This year, I made sure I packed it, along with the battery charger, and an extra memory card. Once the kids and I got to the airport and checked into security, we waited at the gate to board our flight. At that moment, I realized that I didn’t have my camera. AGAIN! I left it in the trunk of my car! UGH! All my blogger friends can sympathize with my plight! I was going to get so much done these two weeks since we are renting a house and the kitchen is 1000 times bigger than mine at home! We packed the Xbox so the kids would have something to play while I cooked and blogged. I immediately stopped moping about my camera when I met a family in the airport that had missed flights, or had them canceled, had been up for 36 hours, and have missed most of their vacation already. I could make it work with my phone again! And make it work I did! The best thing about the house is that we have a full kitchen so we don’t have to eat out for every meal. With two growing boys, that gets expensive fast. While my oldest son wanted to make dinner one night (pasta with red sauce) I knew that Brooks and I couldn’t eat it. 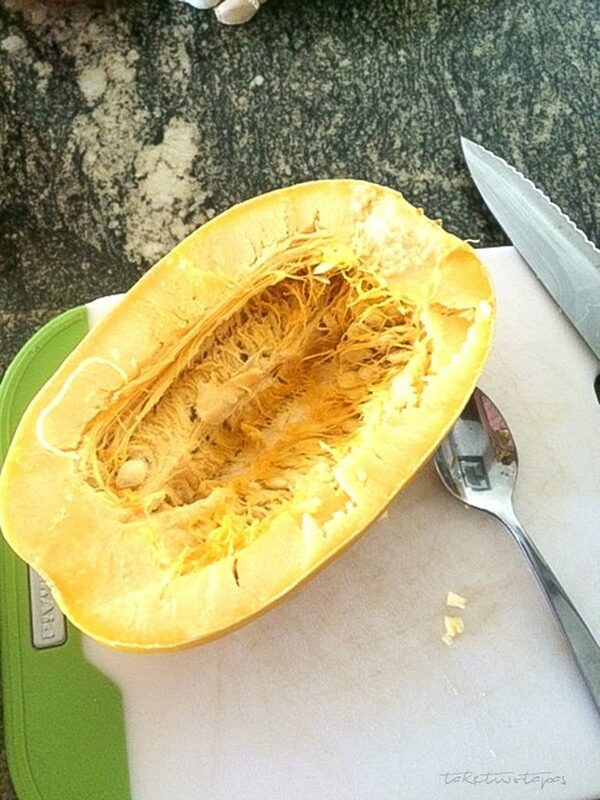 We opted for spaghetti squash so we could still have the sauce and enjoy the dinner Braxton had cooked. 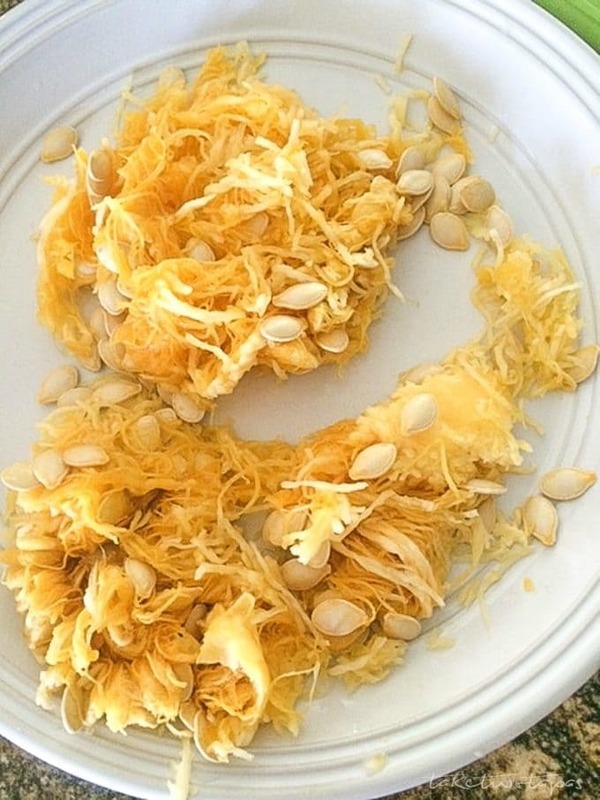 I have eaten plenty of spaghetti squash since going (mostly) Paleo last year but never gave the seeds a second thought as I scraped them out of the squash and chucked them in the garbage. Surely they could be roasted like pumpkin seeds! 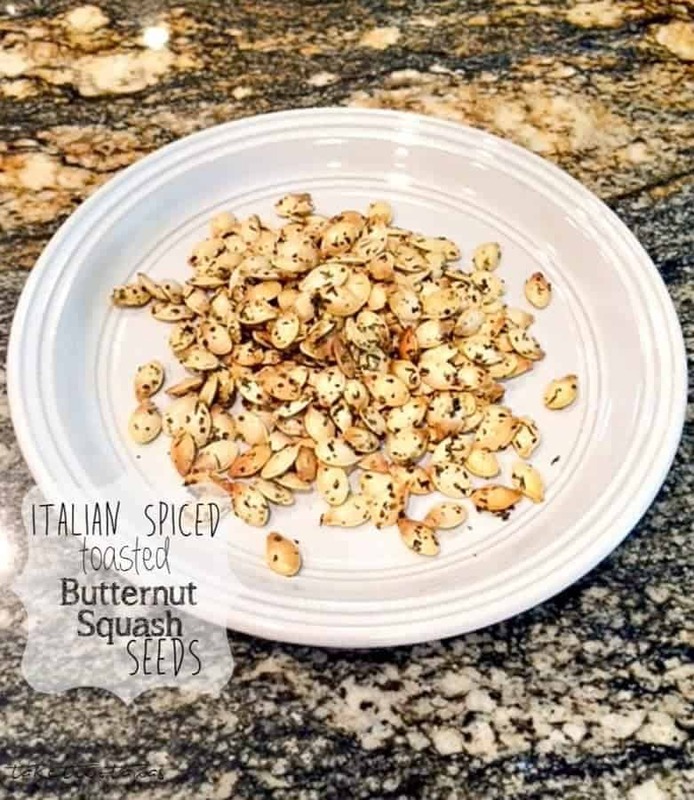 If you don’t have any Italian Seasoning on hand, you can always make it! Here is my recipe for Homemade Italian Seasoning Mix. 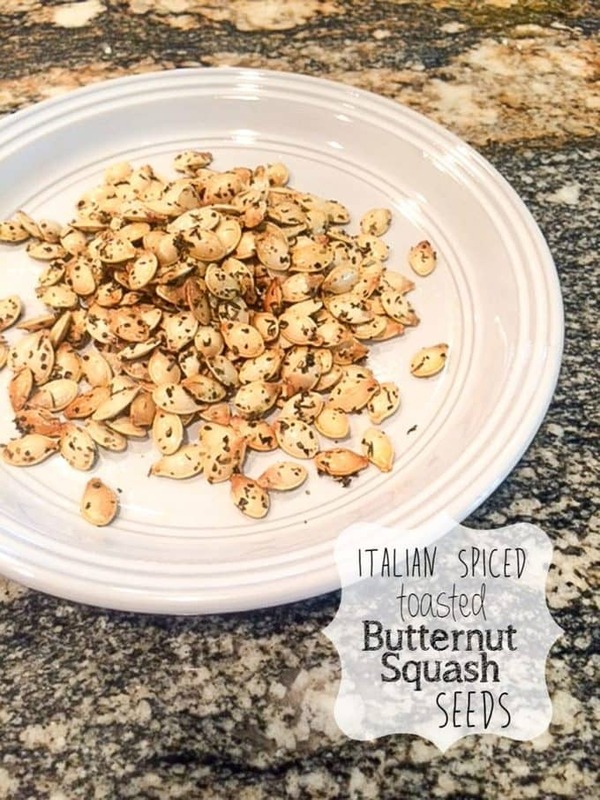 I hope you enjoy the recipe for our Italian night squash seeds! You’ll never throw seeds away again! Put the olive oil in a small saucepan and heat to low. Add the garlic cloves and let them steep for 10 minutes. Remove the cloves and save for another use. 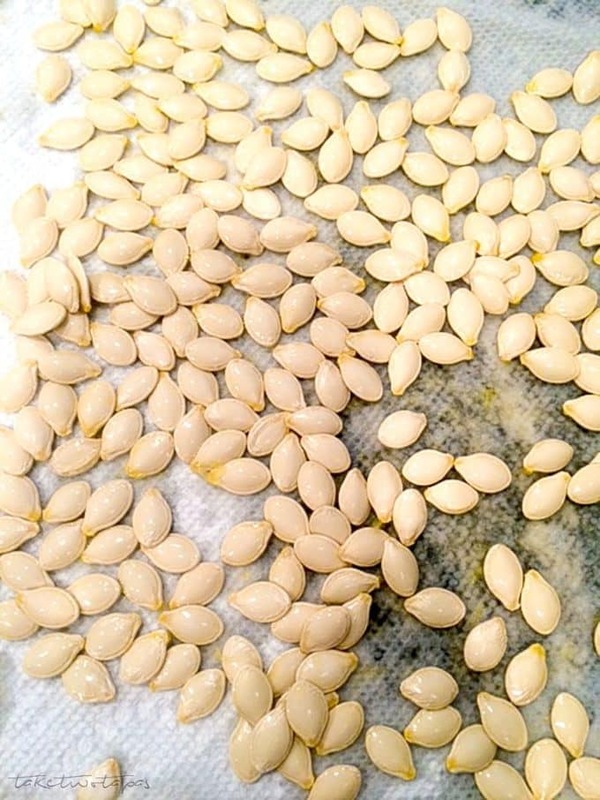 Clean and dry your seeds if you haven’t already and preheat your oven to 375F. Toss your seeds with the oil and seasonings. Place on a foil-lined baking sheet and bake for 8 minutes. Watch them carefully as every oven is different. Some may take longer or shorter! When they are just starting to turn golden brown, remove from the oven and cool. Store in an airtight container until ready to eat! « Saucy Saturdays Is Here! These look very tasty. I didn’t know you could eat their seeds. 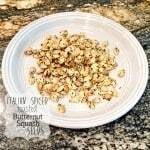 I never knew you could eat butternut squash seeds. Definitely need to try these. Looks tasty. Thanks for posting this recipe.